Learn how to recognize and manage emergencies and become more employable by registering for first aid, CPR and / or safety training with Red Deer First Aid. 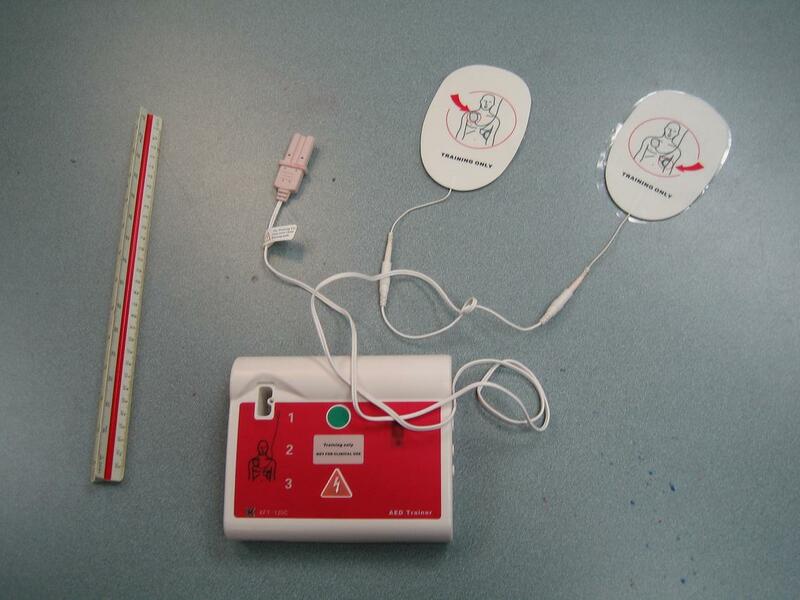 Take popular two day courses such as standard and childcare first aid. 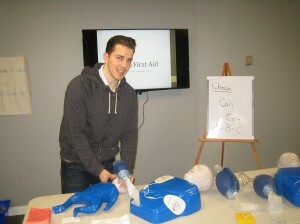 You can also attend one day training programs such as stand-alone CPR and AED training or basic emergency first aid. Safety courses such as WHMIS, TDG and H2S awareness are also available for individuals needing safety training for the workplace. Private courses as well as first aid and / or CPR re-certifications are available at the training centre or a trained instructor can come to you. The latest CPR techniques and skills are taught as mandated by the International Liaison Committee on Resuscitation (ILCOR) and the American Heart Association (AHA). Get the best training, learn new skills and register for low priced Canadian CPR and first aid courses in Red Deer by using the contact information provided below. You can find a list of classes and schedules on the Red Deer First Aid website (use the link below). Registration for any course or private program can be completed by using the contact information posted below. Staff are available to aid with registration or book a private course during regular business hours (8am to 6pm). You can reach the Red Deer First Aid staff using the information below. A large number of programs are available with this Alberta OH&S approved training provider. To register for a course or for more information about available programs in Red Deer, Alberta use the contact information provided above. Trainees receive St Mark James certification. St Mark James training certificates are awarded to trainees once they finish a training course. The certificate is renewable (re-certification) within every three years through refresher programs held twice a week at Red Deer First Aid. Program prices are easily the lowest in Red Deer. Trainees only have to pay once – the enrolment fees – during the training period. The rates are extremely low and affordable, inclusive of taxes, certification fees, and use of training manuals and equipment. No additional expenses are incurred during the training period. If you aren’t able to complete your enrolled course and choose to drop out, full refunds are given as long as there is a 72-hour notice before dropping out.